2019, America. Rick is incarcerated awaiting sentencing for the crime of the century. He grants just one interview - to Gloria, an African American historian. In a world of `fake news' surrounding one of the world's most powerful and controversial political figures, Gloria is Rick's only chance to tell his version of the truth. 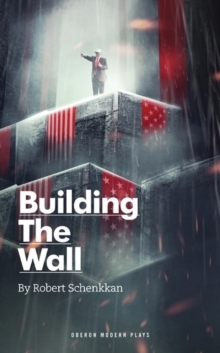 Building the Wall examines what happens when an ordinary person becomes a cog in a regime and how the inconceivable becomes the inevitable. A play as hot as the US political debate that fills our news feeds.